Not much more than an hour and a half outside of Sydney lie the Blue mountains. A hilly range by Canadian standards that aren’t really blue, but get the appearance from the way light reflects on the oils of eucalyptus leaves. 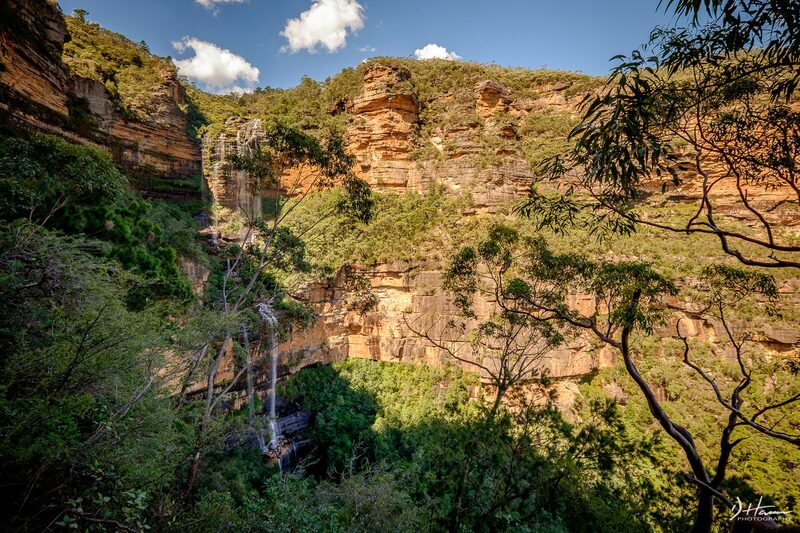 When we were planning our trip to Australia we knew that we wanted to take a couple of days to spend some quality outdoor time somewhere close to Sydney, and well, the blue mountains basically surround the city so it was the natural choice. 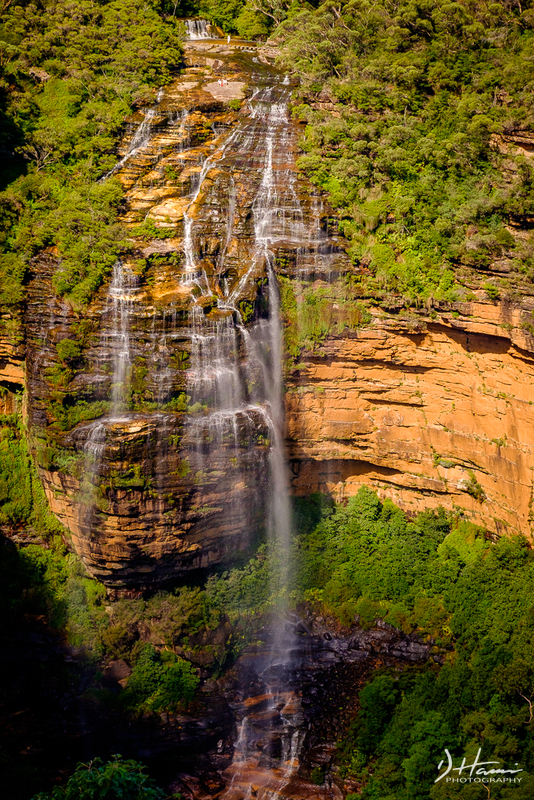 The thing is, we had spent so much time planning the rest of our trip that we kind of neglected making plans for our stay in the little town of Katoomba. 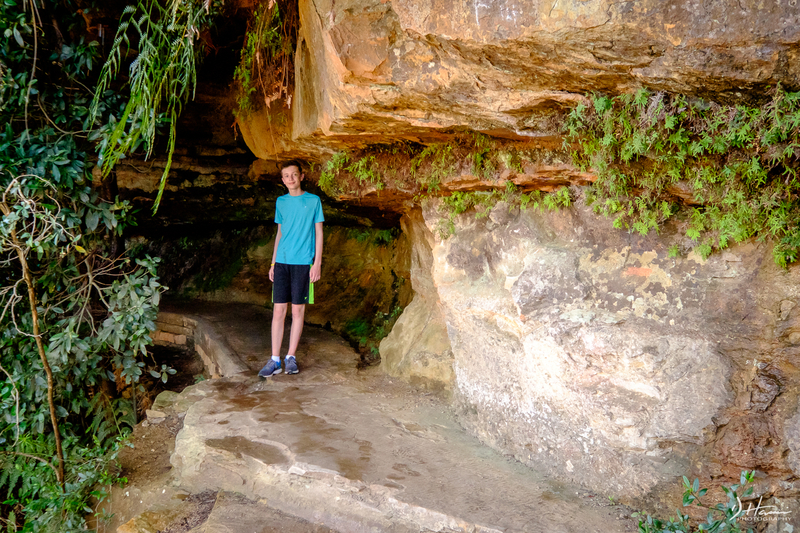 We knew we wanted to do some hiking and maybe a trip out to see some caves but we were, in a very unusual manner, flying by the seat of our pants, but we were only going to be there for two full days before we had to fly out. It was a hot autumn day for the drove out to Katoomba. The weather forecast was for rain the next day so we needed to find a hike to do, and pronto. We dumped our gear and headed into the town to grab some lunch. I parked the car and as I got out I realized we were right in front of a mountaineering shop. Who better to recommend a hike, right? The young guy in the shop (Jeeze, that makes me sound old!) recommended doing a hike called The National Pass. 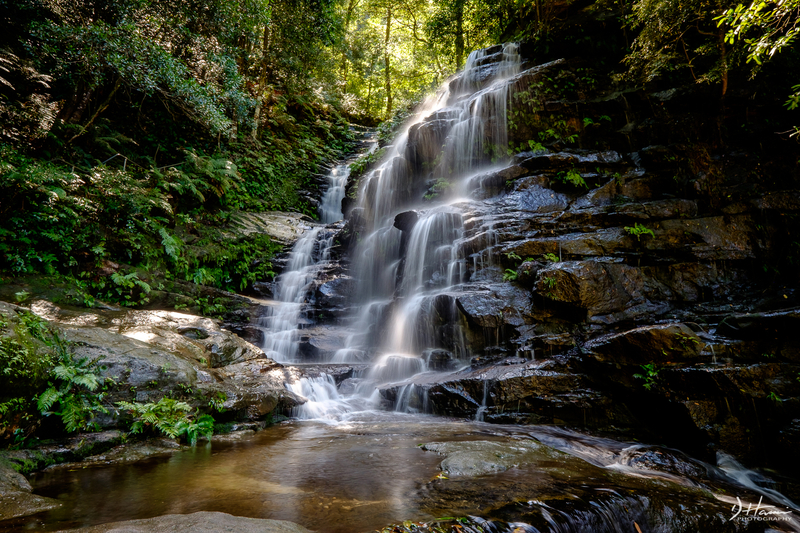 He explained that it took in some beautiful waterfalls and hiked along the edge of the mountain. The whole hike was about 4 hours long. It sounded perfect and after a tasty lunch we were on our way. I had seen a few pictures of the area on Google. I knew there were some cliffs and gorges, but I really wasn’t prepared for how spectacularly beautiful it is. 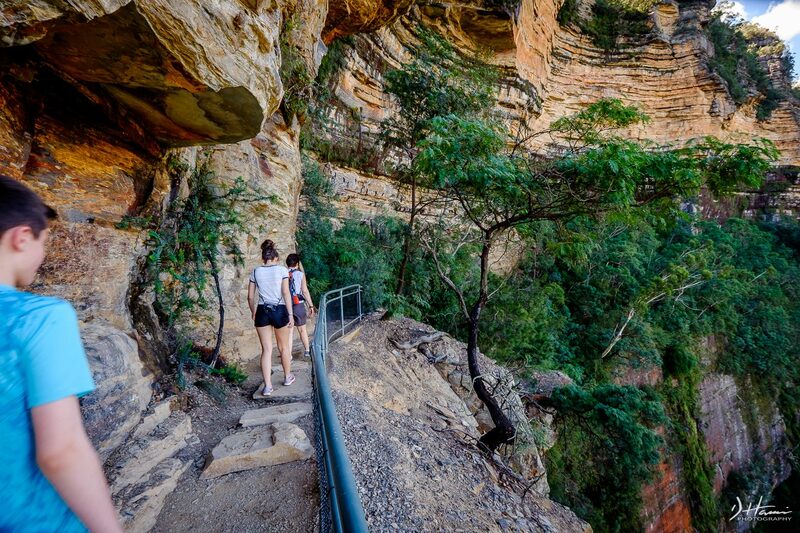 Basically, the Blue mountains slowly climb up from the coast and then at their peak drop off into a beautiful canyon on the other side. As they always do, the hike began at a parking lot. 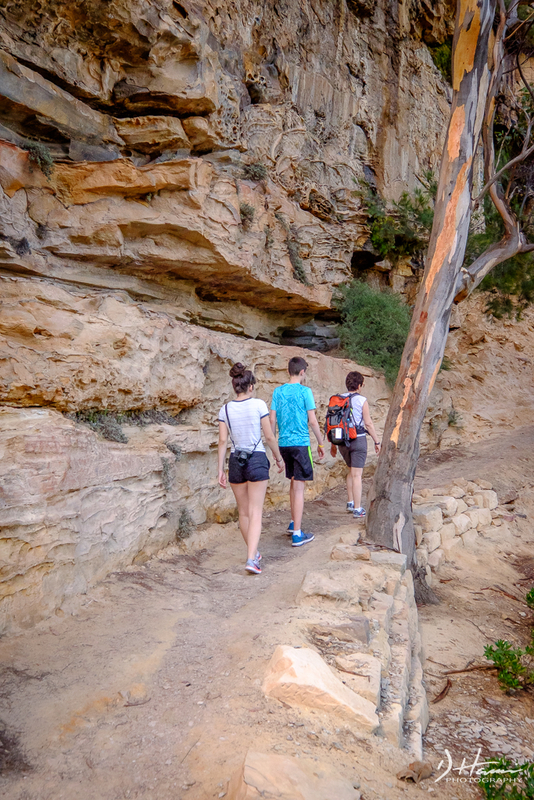 We set off into the bush and, taking the recommendation given to us, hiked the circular trail in a counter clockwise direction in order to save our knees from some killer steps to come. 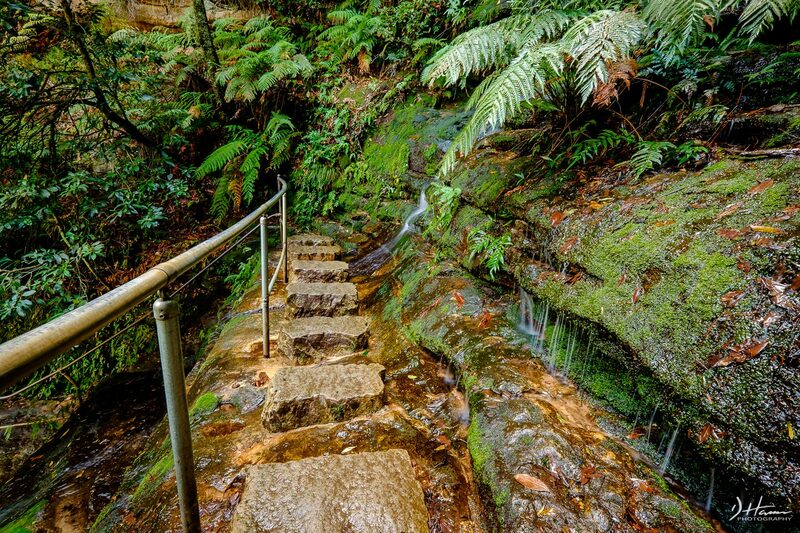 The trail steeply descended down the mountain side and wound its way to Empress falls, a beautiful cascade dropping 30 meters. as we got to the bottom we watched absailers dropping down through the cold waters that plunged into a deep pool. This time I managed to remember to bring my tripod so I was able to grab some slow shutter speed shots. From the bottom of Empress falls the trail turned to follow along the cliff edge. Built in 1908, the National pass revealed itself to be one of the most beautiful trails we have ever hiked. Cliff walls hung over our heads and dropped away to our side. If there was every any particularly steep bits a railing was there to stop us from tipping over the edge. The trail followed along this way for several kilometers. 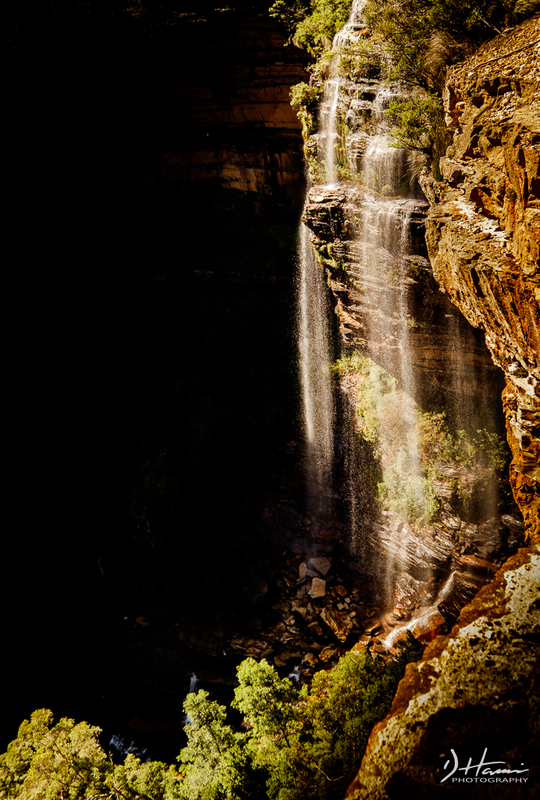 After about an hour and a half we rounded a corner to see the amazing Wentworth falls. This is a three tiered waterfall that plunges 187 Meters. That’s right, it’s huge! Being early fall there wasn’t a ton of water coming over the edge, but enough to still be pretty spectacular. The trail descends down to the base of the second tier, crosses over and then climbs a set of very steep steps carved into the stone. 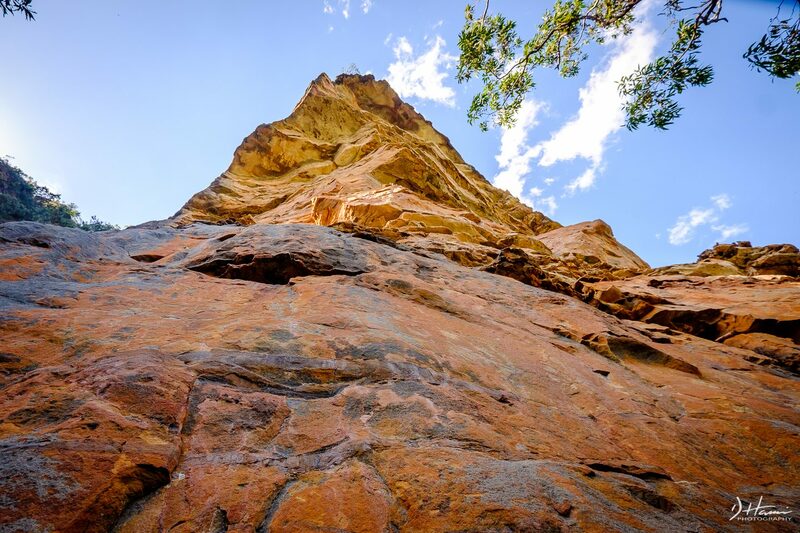 As we are starting our climb we could see people standing on the edge of the top looking down. Crazy! After the hike we realized just how hot the day had become. We had run out of water about an hour before we completed the trek and were dying of thirst. When we got back to the parking lot the little cafeteria had closed for the day so we had to make a quick pitstop in the little town of Wentworth to rehydrate with some Poweraids. I don’t think any of us have ever downed a drink so fast. 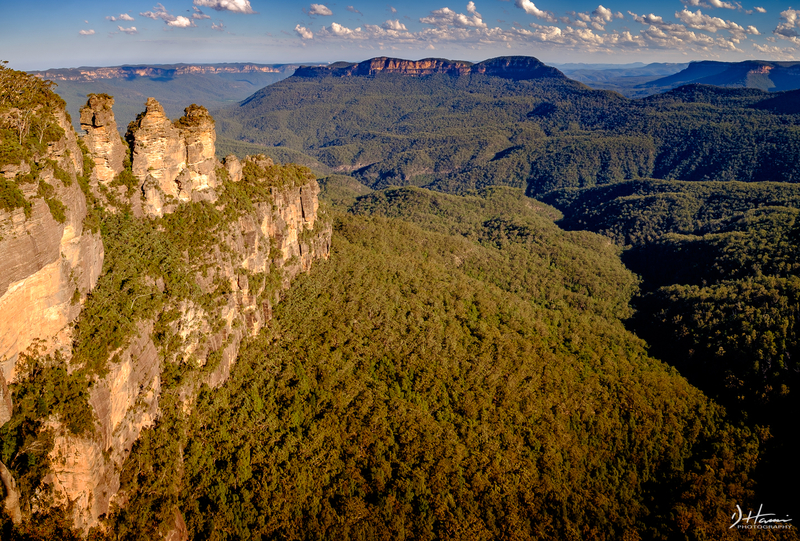 On the way back into town we stopped by the famous Three Sisters which sits at the edge of the town of Katoomba. I liked this shot the best as it really shows just how big and beautiful the canyon is. 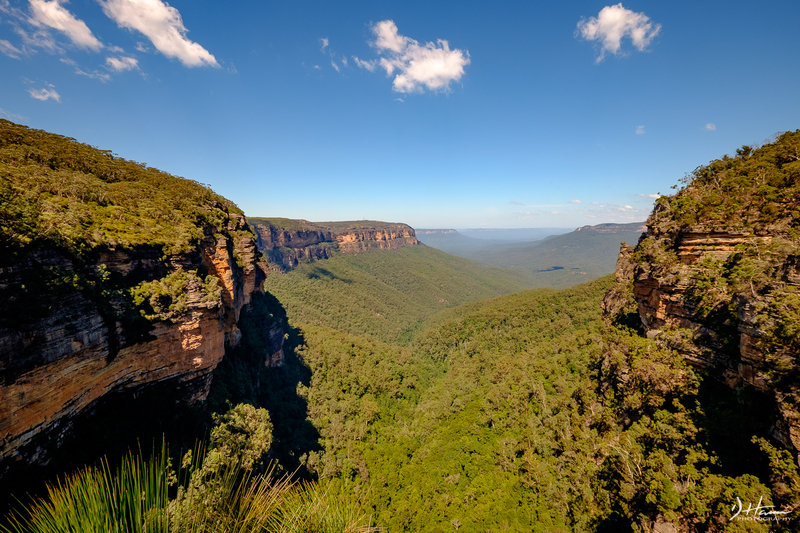 We were so glad that we added a couple days at the end of our trip for the Blue Mountains. 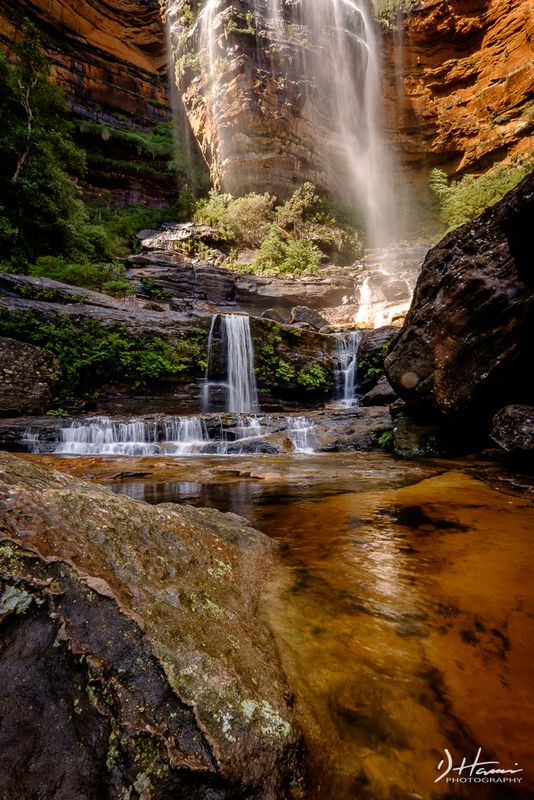 It really is a spot of amazing natural beauty and one I would definitely return to on our next trip to Australia. Wow, the waterfall looks like a hologram apparition of King Arthur or something. The hike looks amazing! 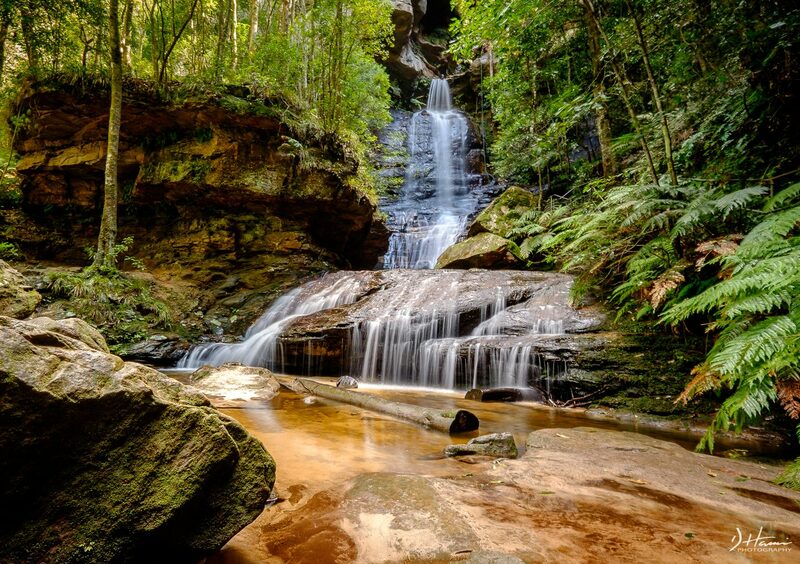 Wonderful photos of the waterfalls. Beautiful photos. Planning a trip for June 2018.